Why should you pay for the sins of our ancestors? Many would have the following questions in their mind about the "Pitra Dosha"
1. Why I should pay for the sins of the ancestors? 2. I live in a morally and ethically correct? Then why I should be affected by the "Pitra Dosha"? 3. Many non-hindus are there; and they don't know anything about the "Pitra Dosha"' but still living happily! Why only I should get affected, just because I had born as a Hindu? As per the Hindu Religion, everybody does good and bad things during their lifetime. 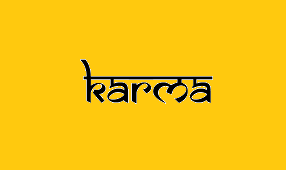 You earn good Karma for your good deeds; and earn bad karma for your wrongful deeds. A soul must delete both good karma and also the bad karma during its lifetime that it had earned in its previous birth. 4. Getting proper guidance about the way of life right from the childhood. 5. Getting the best opportunity to learn the skills, talents and knowledge. 6. Possessing enough wealth to sustain a decent living. 1. Getting born in a disgraceful manner. 3. Growing up in a hateful environment. 4. Getting wrong guidance about the "way of life" from various peoples which includes the Parents too. 5. Inability to learn (or) learning all the evils. 6. Struggling to maintain the day to day lifestyle. 7. Facing dishonor, decit (or) sufferings through the life partner. 8. Facing humilation (or) sufferings through the children. 9. Struggling in the death bed. Conclusion: A soul gets a life in this world, based on its own actions and behaviour during the previous earth @ the God doesn't create a division (or) separation on the Humans in this World. A Soul decide its own destiny through its actions and behaviours. A Soul would chose its family structure, mental health, physical health, knowledge, wealth and even its death by its own actions during the previous lifetime. The Good karma earned in the previous life would become the "Yoga" (or) "yog"; and the Bad Karma gets converted in the form of "Dosha" (or) "dosh" in the "Horoscope" of the present day life of the Soul. That is, the Soul itself writes the next form of lifestyle through its actions and behaviours (done in the previous life) in the present day Horoscope. A person gets punished for his/her wrongdoings by getting born in a family that had done all the misdeeds and earned higher level of Pitra Dosha; only through its actions and behaviours during the earlier lifetime. That is, the Soul would have enough "Bad Karma" in its kitty to go through all kind of sufferings to be qualified to be born in a family that had been seriously affected by the "Pitra Dosha"
The Horoscope is drawn while the Soul takes its form in its mother womb with its own good and bad karma, Whether the Soul likes it (or) not, the Soul needs to enjoy the benefits of its good karma; and face the sufferings of its own bad karma. That is, the Soul would enjoy the benefits of its good karma and face the sufferings due to its bad karma, irrespective of living in an ethical (or) unethical manner during its present life. The actions and behaviours during the current life gets translated into good & bad karmas; and carried forward to its next form of life. 1. Everyone are paying for their own deeds; and not facing the music for the wrong deeds of their ancestors. If you are carrying good karmas more, then you would be born automatically in a family with less (or) insignificant level of Pitra Dosha. If you possess more of bad karmas, then you need to be born in a family that already possess truck load of "Pitra Dosha". 2. Living ethically and morally correct during the current lifetime is a gurantee to have wonderful life during the next birth. 3. Your Horoscopes works very well during the entire lifetime; and the results are calculated well in advance before your birth. Hence, you need to go through the sufferings (due to your previous life's bad karma) despite living a honest life now. But living honestly would ensure a good life at the next birth. 4. Pariharam for Pitra Dosha would minimize the ill-effects of your dosha in your Horoscope; but would not altogether change your current lifestyle. 5. Bag as much of good Karma for your next birth, by living in an ethically and morally correct manner during the current lifetime. 6. Getting born to an excellent Parents and enjoying wonderful family relationships; and getting proper guidance right from the birth would automatically create a condition that could avoid facing a re-birth into this world. 7. The Soul would be able to avoid passing through the Birth and Death cycle; and ensure a stable and comfortable place in the eternal world itself; where there is no pain (or) agony (or) sufferings. 8. The Soul would not get the chance to learn about the good (or) bad Karma; (or) will not believe in this theory of "re-birth & Karma", if it had carried forward more bad Karmas from its previous birth. *The Soul would enjoy its life in an excellent form, till it depletes its good Karma; despite the fact that the Soul does not believe in the theory of "Karma" (or) even if it lives in an unthical manner. Labels: Pithru Dosham, Why should you pay for the sins on your ancestors? There are some critical moments for a patient to cross from an ailment. In those periods the patient would go very critical and the anxiety level reaches peak among their relatives. Let us find those periods. 1. If the Moon is in the 8th house from the patient's Rasi (Moon Sign). 2. If the Moon is traversing in the patient's Birth Star. 3. If Saturn, Mars, Rahu and Kethu traverses in the 22nd Star or 88th Path from the patient's Birth Star. 4. If 6th, 8th and 12th house lords traverses in the 22nd Star or 88th Path from the patient's Birth Star. Suppose a day with above mentioned planetary position comes on Sunday, Saturday & Tuesday, then the position becomes extremely precarious. Again if that day comes with Full Moon Day (Poornima) and New Moon Day (Amavasya) then the risk increases manifold. The situation would remain critical, when the Moon is placed 12.00.00 degrees away from the Sun's position @ when the Amavasya Tithi starts. The time, when the Moon traverses within +/- 03.20.00 degrees from the Sun, the situation remains quiet alarming @ when the Amavasya tithi ends and Pratipada Tithi starts. Thus the patient health condition would remain precarious both during the Amavasya Thithi and also during the Pratipada Thithi. The situation would remain critical, when the Moon is placed within 168.00.00 and 192.00.00 degrees away from the Sun's position @ when the Poornima Tithi starts. The time, when the Moon traverses within 176.40.00 and 183.20.00 degrees from the Sun, the situation remains quiet alarming @ when the Poornima tithi ends and Pratipada Tithi starts. Thus the patient health condition would remain precarious both during the Poornima Thithi and also during the Pratipada Thithi. Thus, the health condition of a terminally ill patient could remain very critical both during the Amavasya/Pratipada Thithi (Sukla Paksha); and also during the Poornima/Pratipada Thithi (Krishna Paksha). Again the hours before and after the Sunset and Sunrise, the patient has to depend on the God only. 1. Go to Rameswaram and stay overnight. Get up early in the morning and take bath in the “Agni Theertham” meaning “Holy water from the Fire God” (Sea overlooking the East Temple Tower). 2. Then you must take bath in all the “Punya Theerthams” (Holy water) that are placed inside the Temple. You can take the help from the official guides that are licensed by the Temple Authorities. (*They wear white color shirts and dhotis). They charge Rs. 25 per head, if you take bath in a group of 15 to 25 peoples. They charge you around Rs. 200/- to Rs. 400/- (depending on the rush), if you choose to go as single (or) with few of your family members. The Guides will pick up water from well, which is inside the Temple; and they pour (or) sprinkle it on your head & body. 3. The Old and Aged peoples may find it difficult to take bath in the “Punya Theertham”. Hence their family members can pick up the water from all the “Punya Theertham” with a water bottle, while they are bathing. You can mix the Holy water into the normal water in the Hotel bath room and ask the elder family members to take bath in the Hotel itself. The path within the Temple leading to the Holy Water remains highly slippery and crowded. 4. After taking bath in the Holy water, you must dry up yourself and change it into the Dry clothes. You must not perform “Pitra Puja” and enter temple wearing wet clothes (or) carrying the wet clothes. 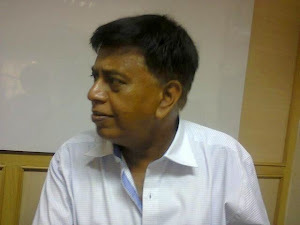 *The Person who is performing the Pitra Puja must not eat till the completion of the rituals. 5. You can perform “Pitra Puja” in the areas overlooking the sea at “Agni Theertham”. There are number of Purohits available in that place. 6. You can also do the “Pitra Puja” in number of monasteries that are abound in Rameswaram. I wish to give the Readers the Name and Address of one of the Monastery. *The Place is located within 150 meters just opposite to West Side Tower (Gopuram) of the Temple. *Please note that the Author do not maintain any commercial interests with anyone. 9. If you want to do “Thila Tharpana Puja” along with “Thila Homam” would cost you Rs. 10.000/- *Please understand that even the “Thila Tharpana Puja” would cost more, if you want to do it in an extensive manner. Hence everything is dependent on your “Budget”. 10. Many believe that there is no need to do “Pitra Puja” thereafter, once you have performed the “Thila Tharpana Puja” in Rameswaram. Even the Purohits are also recommending it in the similar manner. But it is grossly untrue and dangerous too. The “Thila Tharpana Puja” is being recommended for the family, who has not done the Pitra Tharpanam (or) Shraddham in the past for the departed souls @ it is like seeking their Pardon and blessings thereafter. 11. Many believe that by spending few thousands of rupees for “Thila Tharpana Puja” once during their lifetime in Rameswaram will mitigate all their troubles. It is false and the Vedas do not recommende this kind of act. 12. Many Purohits falsely spread these kind of beliefs just to improve their financial prospects. 13. After doing the “Thila Tharpana Puja” in Rameswaram, you need to continue these rituals (Tharpanam and Shraddham) in a regular manner during the entire period of your lifetime. *You can do it in your hometown (or) any holy places including Rameswaram. 14. Please note that “Pitra Puja” would be successful, if it is done with utmost love and dedication towards the departed ancestors. Hence the success of the “Pitra Puja” is not measured in terms of the money being spent in the Puja. 15. The “Pitra Puja” would be highly successful, if the entire family members visit Rameswaram and join the Puja. The Puja would be even more successful, if the sons and daughters of the departed person do the Puja in a united manner. 16. You must release the “Pinda” in the Agni Theertham. Thus, you have successfully completed the “Pitra Puja” in Rameswaram. 17. After finishing this Puja, you must visit the temple and worship Lord Ramanatha Swamy and Lord Kasi Viswanathar. You can do the Puja in the name of your entire family members. 18. You must light up lamp with cow ghee oil inside the Temple. 19. You can donate food to the needy. Then every member of the family can have their food. 20. The Lodges in the Rameswaram maintain 12.00 Noon as their check-in and check-out time. Hence, if you make a check-in the Hotel in the early morning and make a check-out in the evening hours, then you will be charged for 2 days for your stay in the Hotel for a single day. Most of the Hotels follow these procedures to fleece the money out of the visitor’s pockets. Hence plan you travel wisely.